Come join us for our spring planting event! 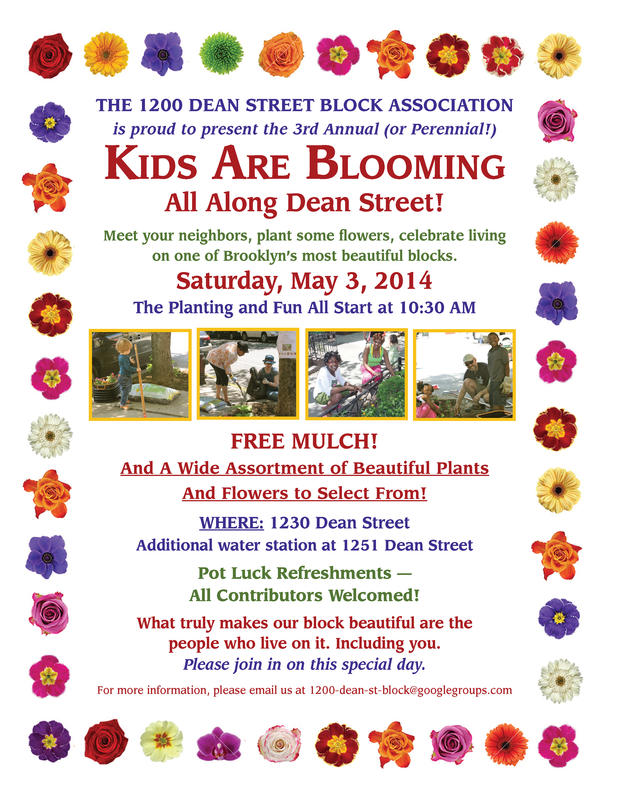 May 3 @ 10:30 A.M. – 1200 Dean Street Block Association Inc.
Come join us for our spring planting event! May 3 @ 10:30 A.M.
and a Wide assortment of Beautiful Plants and Flowers to Select From! Pot Luck Refreshments — All Contributors Welcomed! Next Next post: Next block association meeting: Monday April 21st at 6:30 P.M.